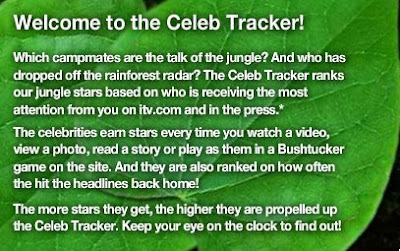 This cheeky little link is to the IACGMOOH Celeb Tracker. It is explained rather nicely by the clipping on the left. It goes without saying that this is a great way to see who is getting the most exposure. This will be useful in all markets. Thank you ITV, you have saved us a lot of work! Go take a look.